I do not really like online dating or local dating. But, I have done international dating. My heart tells me that my future wife is overseas. I have met amazing foreign women. I am still in contact with two of them today. I love it. I plan to see one of them again in the near future. I want to be with a woman who accepts me for who I am. A foreign woman indeed has that quality. I could not agree more. I have tried online and from the beginning it just felt like the online shopping channel. I know many have found their partner that way but being comfortable with hiw you meet and engage is important. I heard your talk just the other day on being single and found it and you so refreshing. I though am finding it harder and harder to meet women of deep faith. Church is …well…married out. And im not one to feel either that attending another for the sake of meeting is necessarily a good thing. So where do we meet women who truly desire to live for Christ…Thanks for opening the door for us to start talking about what seems to be avtaboo topic…being single. Ryan …New Peninsula Baptist mornington.. Thanks for your comments Ryan. I think just being open to where and how God might lead us to a person is all He asks. In His timing and at His direction is always the best way to discover His best. I’m glad to see the conversation happening in culture and faith communities. I love seeing Singles affirmed and others encouraged to include and connect. Hey Kim, I don’t do Internet dating either. Esther won’t let me. 🙂 Keep hunting. Dear Kim, Since you have blogged about this, I myself is not one for on-line dating. However, how I met a certain person, was through the same uni online. There was a add up from him, for certain musicians wanted so I responded and we got chatting away. For what has gone on, we became good friends. However 10 years ago, I did meet this certain person at his church on a youth night. I thank God for giving that flashback of a memory. I have found myself it’s better meeting people in a social event or environment. For the position of job I do, I meet people and work in a social environment, where you can interact in-person in the same space. You do get know who they are, when you see them. As you have once mention, you love using facebook to connect with people and what’s going on in life. Looking at on-line dating can be miss-leading. you don’t know who to trust and what to believe when you haven’t met them in person 1st. For your life circumstances, there is someone out there for you, to meet along your travels. If you attend and visit other churches that are not in your area, you just never know who you might meet. Meeting in-person before hitting the net is better for both individuals. Either way, on-line dating is one big confusing sea. All the best with your adventures. 🙂 Keep on enjoying life to the full. After my first marriage ended, I decided to do online dating, as I attended a small church at the time, and could not foresee myself meeting any single Christian men in the circles I was in or likely to be in, and at the age of 43 I did not like the thought of spending the rest of my life alone. I only used Christian sites, and came across the man I am now married to not long after starting to look. Over the last few years with a family tragedy and many struggles, I could not have done without him by my side. 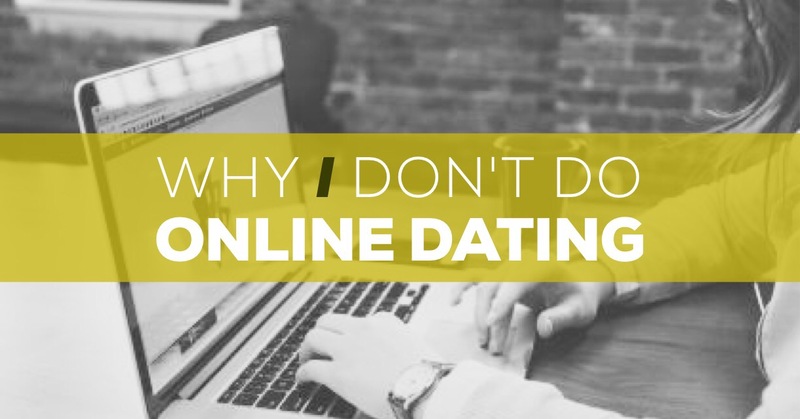 I can understand both sides to online dating and feel that God will either lead you there or not, as He knows where the right man is waiting for you. For me, this is where I felt led and I am very happy. So glad you found each other Kerryn. God sure knew what you needed. I have also decided not to Internet date – certainly for now – and wrote on the topic for ThreadsUk. Lots of people have encouraged me to, but I really don’t feel it’s what God’s telling me and point number 3 really resonated! I feel I am judging and being judged, so for now at least, not for me!